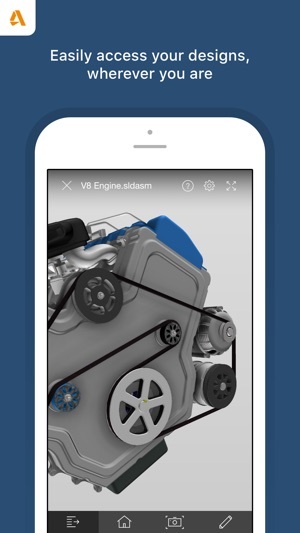 Autodesk® Fusion 360™ for iPhone and iPad lets you collaborate on 3D designs with anyone inside or outside your company. 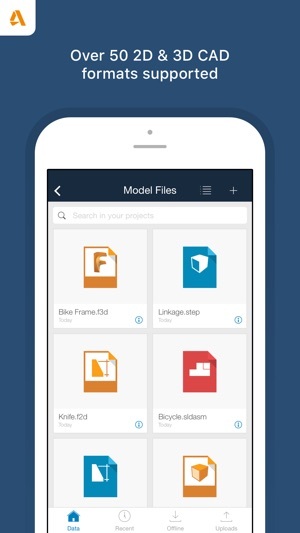 With the Fusion 360 app, you have the flexibility to view and collaborate on your Fusion 360 CAD models—anytime, anywhere. 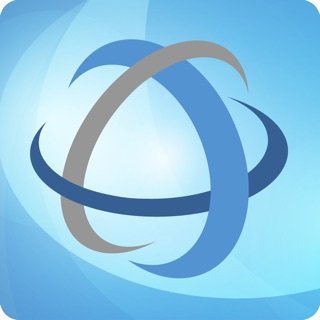 The app supports more than 100 file formats including DWG, SLDPRT, IPT, IAM, CATPART,IGES, STEP, STL, making it easy to share designs with your team, clients, partners, and friends. 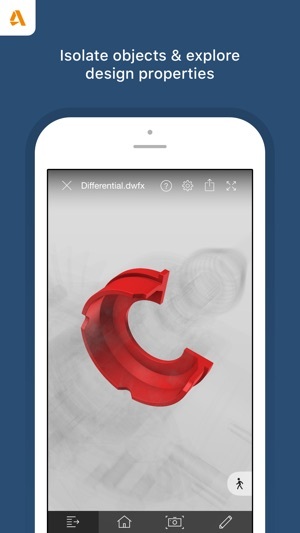 The free app works in conjunction with its companion cloud-based desktop product, Autodesk® Fusion 360™, a 3D CAD, CAM, and CAE tool for product design and development. * To use Fusion 360 for iPhone and iPad, you will need to sign in with your Fusion 360 account information. 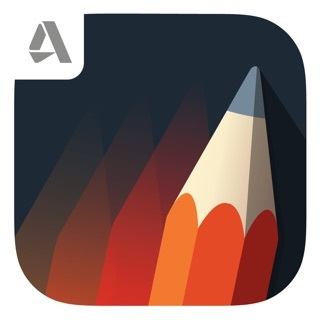 * You can download the cloud-based desktop version of Fusion 360 from the Mac App Store. 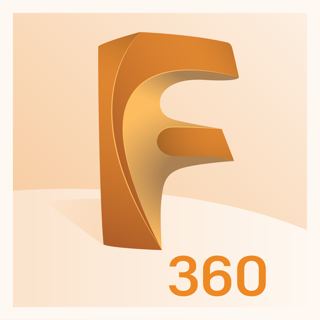 Contact the Fusion 360 team or visit our forums. I think if i was paying for Fusion 360 I would have rated it a 3 star program against other programs like Solidworks or catia, but being free to Hobbyists it is the absolute best package available for this market. It's the first to include CAM, simulation, and sheet metal features all built in at no extra charge, which is amazing! The other reason Im giving it 5 stars is they are actively developing it, and they are willing to listen to user feedback to improve the program. There are certainly some areas where it needs some improvement to really be competitive in a professional setting, but I think its getting there. The mobile app is also a nice touch. Very useful to be able to show my designs to others to bounce ideas off them. Fusion 360 on Mac is fantastic. I use it all the time on my 2015 MacBook Pro and it runs great. With the power of the new iPad Pros outperforming the 2018 MacBook Pros why not bring the full version to iPad? The file system is already cloud based, seems like it would transition nicely. 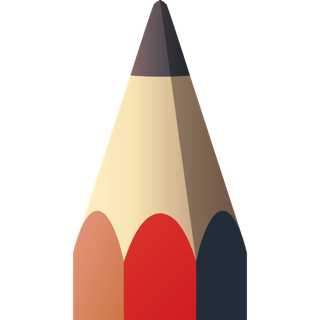 I would love touch control to move models around while drawing with the Pencil. Plus with the keyboard, all the shortcuts we’ve all memorized would transition perfectly. The form factor of iPad seems like the future of computing IMO and like many others have said iOS is lacking pro apps, Fusion 360 would be a welcome surprise. The only thing I ask is, PLEASE don’t make it subscription based. Fusion 360 is the favorite tool of many makers and weekend warriors that just can’t justify a monthly subscription for something they do for fun. Keep Fusion free for the little guy, just like the desktop version.